bWise was founded in 2004, with the aim of enabling and empowering African businesses through results driven consultancy, technology solutions design and implementation, and motivational training solutions. bWise has an extensive base of experience in dealing with major blue chip companies as well as medium to small sized businesses and we are able to tailor make our solutions for your specific needs. Adriaan Héfer is a very experienced business consultant and delivery manager (20 +years) with a strong technology background. 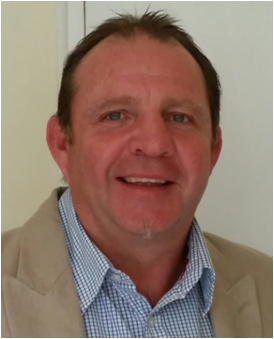 Adriaan has been involved in numerous Revenue Authority, Financial Services, Government, Health Care, Oil, Retail and Telecoms programs in Southern Africa and the UK. Design and delivery management of software solutions and applications. Diploma in Freelance Journalism from the London School of Journalism. Provided strategic consulting, business development and has deep delivery management experience across various business and ICT projects in Southern Africa. And UK. Focused on understanding and formulating the client’s business and ICT strategy, and advising how best to leverage technology to increase bottom line profits. Specialist in digital solutions, mobile technology, internet technology, cloud computing, ECM (Enterprise Content Management), document and records management, workflow, call centre and BPO solutions. Design, development and Implementation of online retail business including business strategy, operating model, financial model and digital marketing strategy. Implementation of ECM solution at SA Parliament and Cape Provincial Government. BPR exercise and process automation (workflow and ECM) software design and implementation at numerous South African life assurance and pensions companies. ECM solution design and delivery management at health care and banking clients in the UK. ICT /business strategy development and alignment at major life assurance companies in SA. Implementation of Call Centre solutions for Telecoms, and Retail clients. Streamlined business processes and implemented IVR and website apps at Oil company . ICT Solutions design and delivery to multiple Mobile Telecommunications Network Operators in Southern Africa. CRM solution design at Land Bank SA. Detailed design, plan and mobilisation of turnkey BPO solutions to multiple major pension funds and pension fund administrators in Financial Services sector. Company Director . Included sales and marketing activities, account management, management of multiple concurrent projects, vendor and stakeholder management, programme and portfolio management and identification of suitable partner companies. Extensive African network.